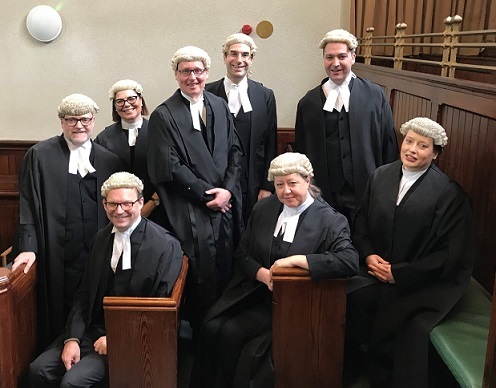 Richard Chapman QC of 18 St John Street was among the eight new Manchester QC’s to attend a ‘bowing in’ ceremony this morning as confirmation of their recent elevation to silk. The ceremony took place at Minshull Street Crown Court on Wednesday 27 March before the Presiding Judge of the Northern Circuit . Many congratulations to all from everyone at 18 St John Street Chambers. Richard was called to the bar in 1998 and specialises in all areas of Business and Property Litigation including disputes relating to commercial law, chancery, contracts, company, insolvency, directors’ duties, insurance, professional negligence, partnership, landlord and tenant, trusts, succession and probate. He also specialises in Tax and VAT litigation. Richard has appeared in the European Court of Justice, the Supreme Court and the Court of Appeal.